ONYVAA is one of Europe’s newest Techno imports. 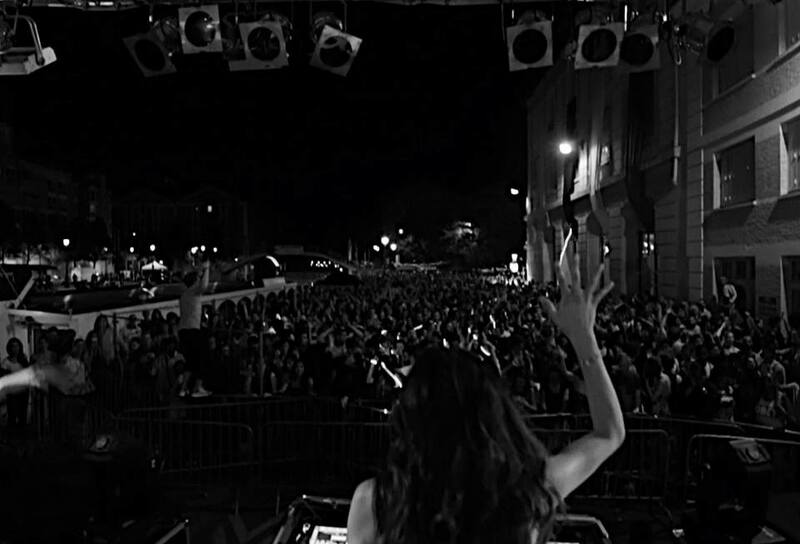 DJ, Producer and label owner recently presented her second EP. We got the chance to speak about this rising star and learn something more about her. How would you present yourself to our audience? I’m doing great thanks for asking! I am a Techno DJ, Producer and label owner from Los Angeles, California based out of Paris, France. How did your first contact with electronic music happen and how did you get interested in techno? Electronic music has been a passion of mine since I was a kid. I always had ideas in my mind about music that I would want to hear and bring to life, so I eventually decided to go production school in Amsterdam. I owe all the credit to my Ableton Live and sound design teacher Joost van der Meer (Joost Dulac) who introduced me to Techno! Check out his school Beat Fabriek in Amsterdam! Can you tell us something more about your career? How did it all begin? When did you decide to choose it as a professional career? It all became official for me two years ago when I went to an underground warehouse rave in Rome. Being introduced to techno by Joost in Amsterdam was what had initially planted the seed in my mind, but hearing it on a huge system with the amazing energy of all of the crowd blew my mind away. At that moment I was instantly hooked. Since then I’ve really taken the time to experiment to find my sound. Your second EP Silk Route is out, so tell us something more about it? What inspired you to make it? I love integrating sounds from around the world into my tracks and to try to really take people’s minds somewhere else, but in the best way. What’s your favorite thing when it comes to producing your own track? How are you describing your sound? I think that music affects the mood and vibrational frequencies of people. While producing I always aim to evoke good feelings with my tracks. I would describe my sound as strong driving Techno with Detroit and Dub influences along with some worldly touches here and there. Tell us something about your label Passeport Records? I created Passeport as a platform to release my music with out any boundaries or limits. I am really into field recording and Passeport is all about collecting fresh and organic sounds from around the world and integrating them with Techno. How has Paris shaped your music? There is a great underground scene here in Paris and the standards for quality is set pretty high. It keeps me striving to continue growing and learning. As far as production wise, I’ve learned less is more. What are your plans for the future, are you working on some new music?